Out there - in more ways than one. Since the first stones of the famous abbey were laid in the 12th century, the Alpine air has drawn ascetics, adventurers and artisans. They mingled with the landowners who farmed the steep pastures known as Les Fonts, and the miners who toiled beneath the black mountains for iron ore. Since medieval times, it’s been an unusual mix for such a quiet hamlet - and that shows today in a quirky identity that draws half a million climbers, cyclists, history-buffs and hikers to Sixt every year. And of course, the mountains themselves as about as “out there” as you can get. 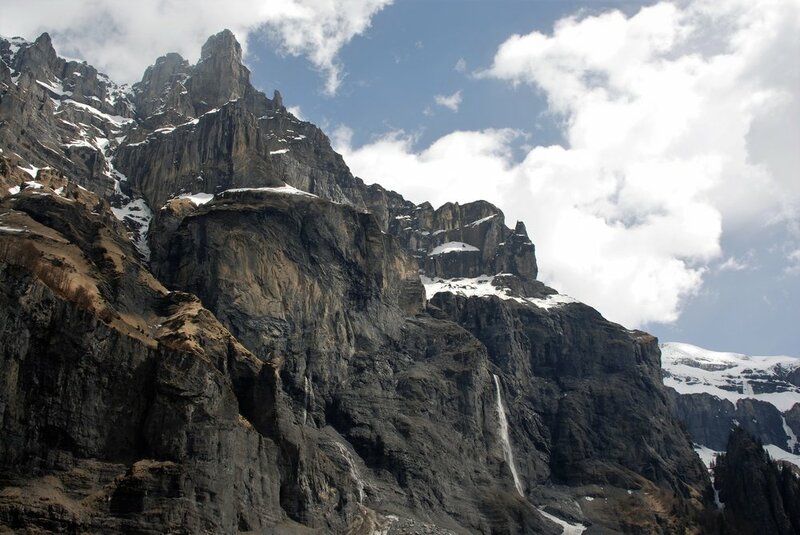 The spectacular Cirque du Fer à Cheval (roughly translated as the Horseshoe Amphitheatre) has been compared favourably to Yellowstone – with soaring peaks forming a barrier to Chamonix on one side, and opening into remote mountain passes to Switzerland on the other. Carved by glacial action from hard black rock, the Cirque is home to 2,00 metre cliff faces, and tens (or hundreds) of roaring meltwater falls that plunge down sheer limestone before flowing into the 32km River Giffre. Several walking routes pass close to the peaks, through an area known as the “Bout du Monde,” or end of the world. And sometimes, out there in the unspoilt wilderness – whether it’s summer or winter – it’s easy to believe there’s nowhere higher or more remote to go. With tough nature preservation orders in place, few of the 28,000 acres of peaks and pine forests that surround Sixt have been touched since the last bears roamed the region. And while wolves were hunted to near-extinction, rumour has it some still share those remote slopes with marmot, chamoix and ibex. Sixt itself remains just as rough and ready. Less crowded (and a little less civilised) than the other villages in the Haut-Giffre Valley, Sixt is a vision of the Alps without the varnish. A small supermarket and several local produce shops aside, Sixt has avoided commercialisation in favour of heritage and honest living. But being sleepy doesn’t mean that Sixt is without its secrets: uncharted walking routes over ancient footbridges, refuges and religious relics, and the mysterious springs that flow at Fond du la Combe, from sources unknown. Remote mountain passes; roaring meltwater falls. 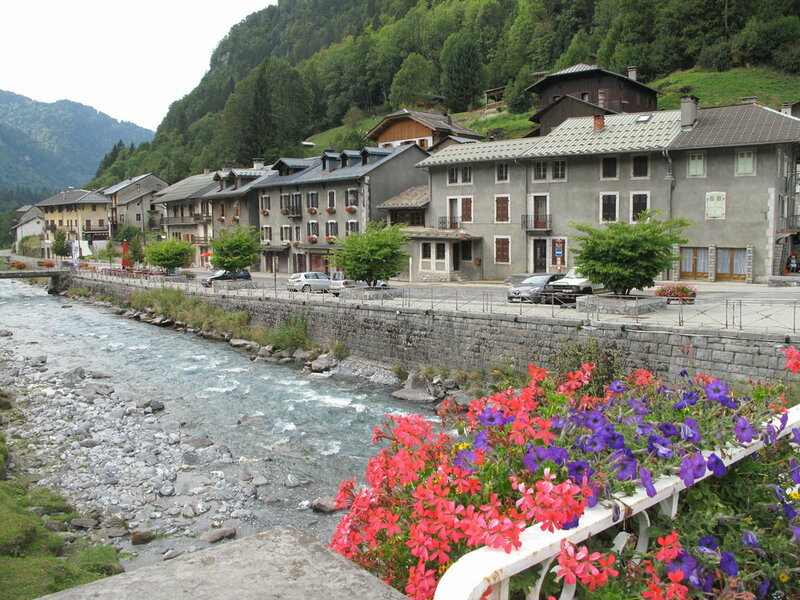 Only one of five “Plus Beaux Villages de France” situated in the Alps, Sixt may be growing in popularity, but it remains totally unique. Where else will you find ski-touring immediately on your doorstep, awe-inspiring climbing routes that approach the highest sheer limestone cliff face in Europe, and a waterfall nicknamed “the Queen of the Alps” all alongside affordable accommodation and homely evening destinations like Auberge Pizza and Nuno Bar? For availability, to learn more about The Lodges themselves, or to enquire about a group booking, please visit our bookings page.